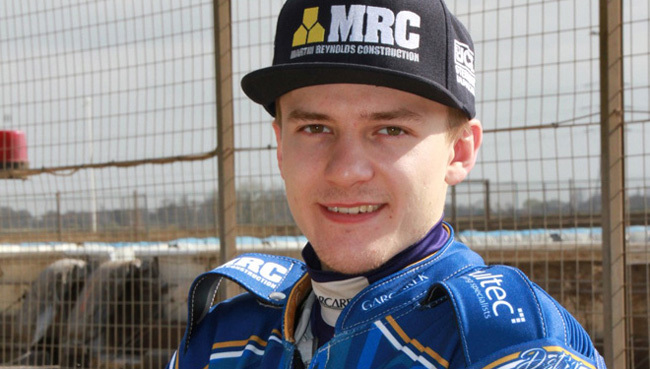 BOSS Dale Allitt was philosophical over King’s Lynn’s terrible luck during a 61-29 defeat at title rivals Somerset Rebels. “Unfortunately it was one of those nights,” said Allitt. “Everything that could go wrong did. Robert snapped his frame in the first race so had to use his spare bike which was too strong. “Erik blew an engine and had problems after that, Michael (Palm Toft) and Thomas (Jorgensen) had some issues too. Whatever we tried did not seem to come off. “They are not excuses, just what happened on the night. At least it all came now and not later in the season. “It will be a different team should we face Somerset again. Niels got 15 there last time and speedway is a funny sport, things can change. “There have not been many blips this year, this was one of them and it brought to an end the very good run we had built up. “You can cope with one or two things that go wrong but when it is three or four there is little chance, especially when you’re running rider replacement. The result means Somerset remain in contention for top spot in the SGB Premiership going into Wednesday’s final meetings. King’s Lynn stay in the box seat courtesy of a one-point lead at the summit and two meetings in one night against rock-bottom Leicester Lions (7pm). Across those two meetings the Stars need to match or better Somerset’s points haul as they finish the league programme with a trip to play-off contenders Belle Vue (7.30). Bradley Wilson-Dean gated with Jason Doyle bullying his way up the inside of Erik Riss to put King's Lynn on the back foot from heat one. Jake Allen comfortably took the reserve race from the gate and when Riss got forced wide by Richard Lawson in heat three, the Rebels had a 10-point lead. The home side's third maximum of the night followed when Aaron Summers hit the front with Jack Holder breezing inside Simon Lambert. The Stars hit back in style after the grading break with Riss leading throughout and Robert Lambert blasting around the outside to go from last to second, passing Kyle Howarth on the final bend. The joy was short lived, though, as Doyle and Wilson-Dean made light work of the sixth before Nicolai Klindt's sharp gate and tenacious work held off Allen and Holder to win heat seven. Another 3-3 was on the cards in heat eight until Riss suffered an engine failure on turn three of lap four while third. Klindt then gated but got passed by Lawson during lap three while tactical substitute Robert Lambert discovered to his cost that the dirt line had disappeared. Normal service was resumed as Wilson-Dean waltzed to the 10th with Doyle diving outside then back in to grab second. That was followed by Allen's early dash up the inside to get the better of Robert Lambert as the Somerset reserve led home Holder. The Stars filled the minor places behind Howarth in heat 12 but the familiar tale continued with Doyle and Holder dominating from turn two of the 13th. Allen and Lawson made it look easy in the penultimate race before Robert Lambert at least gained the win his efforts deserved in heat 15, seeing off Wilson-Dean and Allen. SOMERSET 61: Jake Allen 12+1, Jason Doyle 11+1, Bradley Wilson-Dean 10+2, Richard Lawson 8+1, Jack Holder 7+4, Aaron Summers 7, Kyle Howarth 6+1. KING’S LYNN 29: Robert Lambert 9+2, Michael Palm Toft 8, Nicolai Klindt 7, Erik Riss 4, Thomas Jorgensen 1+1, Simon Lambert 0, Ty Proctor r/r.